KPPP-LP 88.1 Radio is asking for contributions to cover costs of travel from Moorhead, MN to San Diego for leadership to attend a very important conference in late April 2019. Cindy Gomez-Schempp, host of “A Mexican Crossing Lines’ and Board Chair of The People’s Press Project, has been invited to present an academic paper titled “The Truth about the Caravan: A Network analysis of American Pseudo Activism and Homeland Security” written in collaboration with Professor Guadalupe Correa-Cabrera at the 2019 annual conference of the Association for Borderland Studies held in San Diego, CA from April 24-28. Our panel to present our work will be on Saturday April 27, from 11:30 am – 1:00 pm. Cindy’s extensive investigative research of the network of american groups, organizations and activists currently organizing, funding and supporting irregular migration in the form of caravans will be highlighted in the joint report. Funds raised will be used for travel expenses to and from the conference. 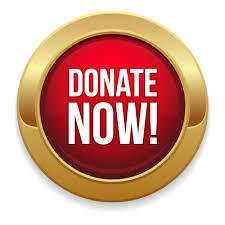 Make a Tax-Deductible donation to assist with travel costs here (Secure Link). Professor Guadalupe Correa-Cabrera (Ph.D. in Political Science) is Associate Professor at the Schar School of Policy and Government, George Mason University. Her areas of expertise are Mexico-US border relations, migrant smuggling, organized crime, drug trafficking, and human trafficking. She was recently the Principal Investigator of a research grant to study organized crime and trafficking in persons in Central America and along Mexico’s eastern migration routes, supported by the Department of State’s Office to Monitor and Combat Trafficking in Persons. She is also Global Fellow at the Woodrow Wilson International Center for Scholars and Non-resident Scholar at the Baker Institute’s Mexico Center (Rice University). She is author of Loz Zetas Inc. Criminal Corporations, Energy and Civil War in Mexico. The organizing theme for the 2019 annual conference is “BORDERS HERE, THERE, EVERYWHERE” – these are non-contiguous borders such as airports, seaports, but also logistics platforms and transportation networks that straddle past national physical boundaries, state and provincial boundary lines whether they are territorial or even legal/regulatory limits, even sometimes virtual; they are connecting the local with the global nexus; Some of them are a-territorial in nature (an exception in the past – the new norm today), and often, they are superimposing themselves onto traditional territorial borders, which remain prominent but are at the same time profoundly transformed. These affect the flows of goods, and also human mobility occasionally in murderous ways. They are here, there, and possibly, everywhere, and can be found in the middle of cities miles away from international boundary lines. ABS Conference is dedicated to the systematic study and exchange of ideas, information and analysis of international border, and the processes and communities engendered by such borders. Thank you for your support. Donate to this fundraiser here. Have a great trip you both deserve it.